Heat up the onions and olive oil in a deep pan until they are soft. Add the spices and stir to form a paste. 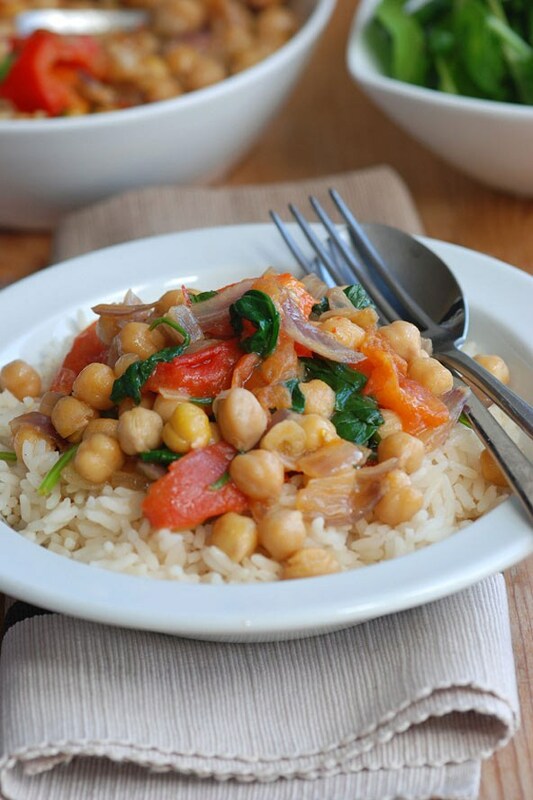 Pour in diced tomato and chickpeas, stir well, and bring to a simmer. Throw in the garlic, chilli sauce and lemon, and stir in the coriander and spinach. Cover and leave to cook on a medium heat for 15 minutes. Serve with a dollop of natural yoghurt and some fresh herbs.